Elegant yet quirky, the range uses a classic floral and filigree design, finished with a fold-over top secured with a matching sticker. 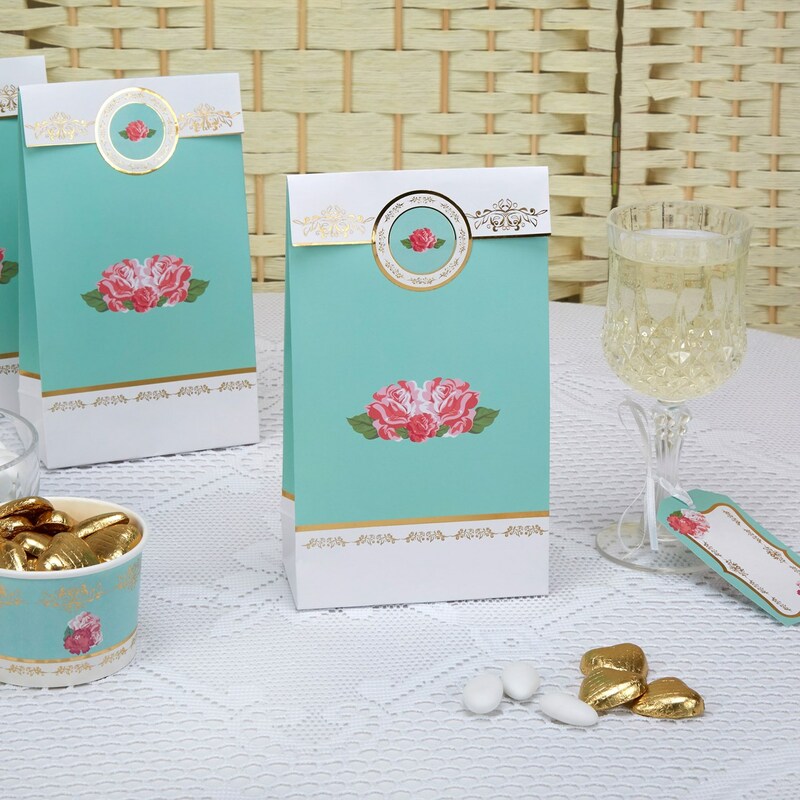 With plenty of room for your chosen selection of sweet treats and gifts, these gorgeous bags offer a lovely way to give your guests a little something to take home. Each pack contains 5 Party Bags.